The Bosphorus or Bosporus, also known as the Istanbul Strait, is a strait that forms part of the boundary between Europe and Asia. The Bosphorus, the Sea of Marmara, and the Dardanelles strait to the southwest together form the Turkish Straits. 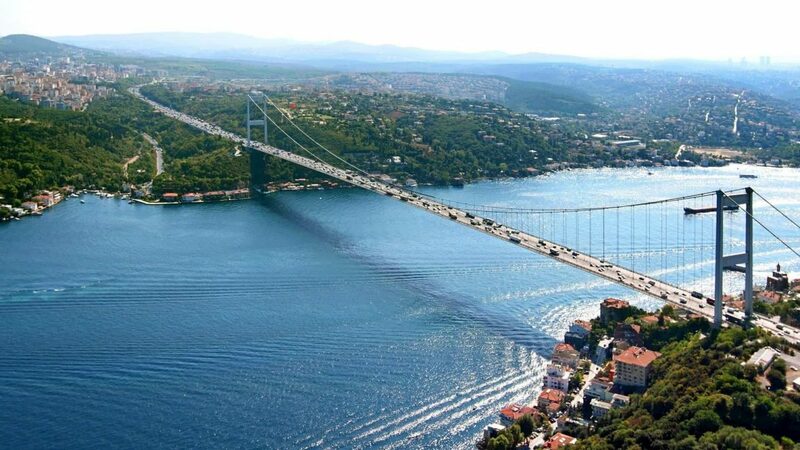 The world’s narrowest strait used for international navigation, the Bosphorus connects the Black Sea with the Sea of Marmara (which is connected by the Dardanelles to the Aegean Sea, and thereby to the Mediterranean Sea.